80% of Chinese are exposed to dangerously high levels of pollution everyday according the the US Environmental Protection Agency. Visibility in some areas has been reached as low as 100m. 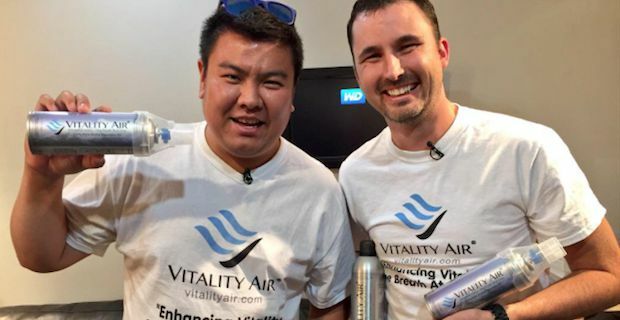 A Canadian company, Vitality Air, has taken advantage of this horrendous situation and has been selling bottled fresh mountain air to Chinese citizens. This air is said to come from Banff National Park in Canada. For a bottle of premium Rocky Mountain air, customers will only need to dish out £18.50. The canisters have a cap mask which allow the user to have 150 1-second sprays. Early in December, smog levels reached red alert levels requesting that children, women and elderly stay inside and leading to the closure of schools and construction work. Not only have Vitality Air seen the market for fresh air, a local restaurant in Jiangsu Province in China saw the demand and installed an air filtration system. They then charged customers and ‘air cleaning-fee’ which costed an extra 10p. Eventually the local government deemed the charge illegal as it was not the diners choice to breathe in the air.